Taking an art class, I incorporated my love for the sport I do into my work. 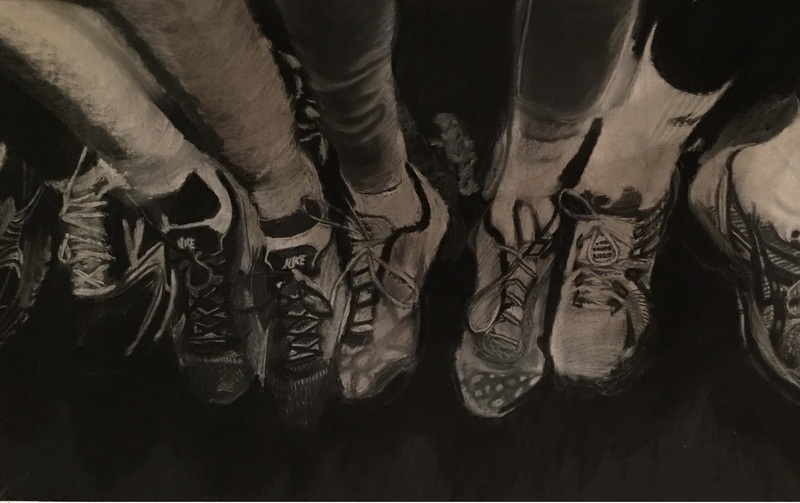 This is a white charcoal on black paper of my friends and me at the Yale Invitational putting our legs up on the wall after a hard night of racing. Translating moments like these into art allows for a special remembrance of the events which is nice for everyone to look back on what they've done. The humanities gave an opportunity for friends to record a moment in history together. A photo exists of the moment, but after taking the time to draw this out over a few weeks and work on each and every person with fine detail, the moment really stands out in your mind and is always available to you.